Seatech has supported clients and contractors in the civil engineering industry for over a decade providing a first class service and at an affordable cost. With the skills and capability to perform a diverse range of marine activities, from underwater welding, cutting and burning to inspection, repairs, scour protection, installation and demolition of marine and inland water structures. Seatech also has a wealth of experience providing diver dredging systems for silt clearance in ports, harbours, marinas, culverts, canals and inland waterways across the UK. With over 10 years of experience in this sector we can ensure an efficient service to the client and a project that will be on time and within budget. 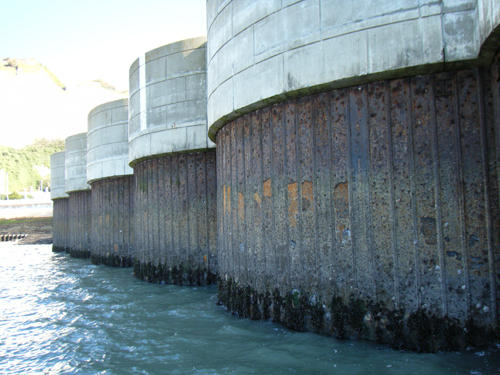 Pile wrapping- Seatech are a Specialist Applicator of SeaShield 2000 FD range.